Last spring, MEAD Alternative had a memorable time at the play "Hamilton," truly a once-in-a-lifetime opportunity. This winter (January 24th), they will have the opportunity to attend "Dear Evan Hansen." 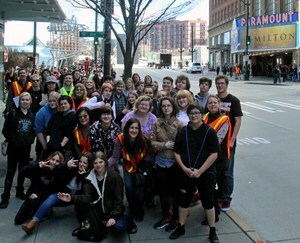 MEAD Alternative had a great whirlwind adventure last spring in Seattle. 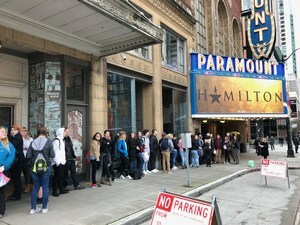 We were fortunate to be a part of a grant that allowed students and staff the opportunity to see the award-winning play Hamilton. This year the good fortune continues, as we have secured a grant to view Dear Evan Hansen this winter!